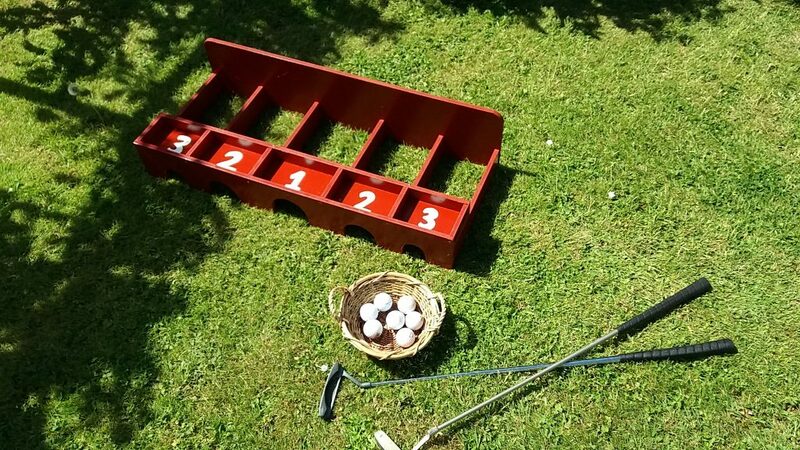 Wooden frame putting game (red) supplied with golf balls and putters. Size is 90cm wide x 38cm deep x 20cm high and will fit in a standard sized vehicle. This is slightly smaller than the green version.